It is that time of year again! December's Square Hue box arrived a couple of days ago and of course I was excited! I was excited to find out what the theme was and what the polishes would look like! It has been another year of swatching for Square Hue that has been so fun! I hope you all enjoyed seeing all of the polishes this year! The first polish is aptly names Frosty. They call this a shimmer polish and I would have to agree with that. This is a very light silver based polish with micro silver shimmer. If you want to wear this alone, with no base color, prepare to use 2+ coats. I used three in the picture BUT you can definitely use more. Rudolph is a straight up shimmery red. 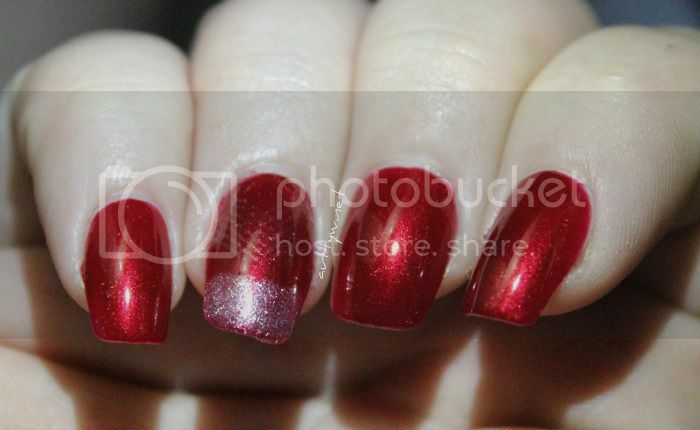 This is the PERFECT red for the holiday season because it is that classic Christmas Red. Depending on how you apply this you could get away with 1 coat, 2 at the most, which is what I used.This is one of those reds that I can definitely see myself wearing throughout the entire year because it is pretty and if you think about it, it looks like Rudolph's shiny red nose! Jingle Bells is a darker gold. 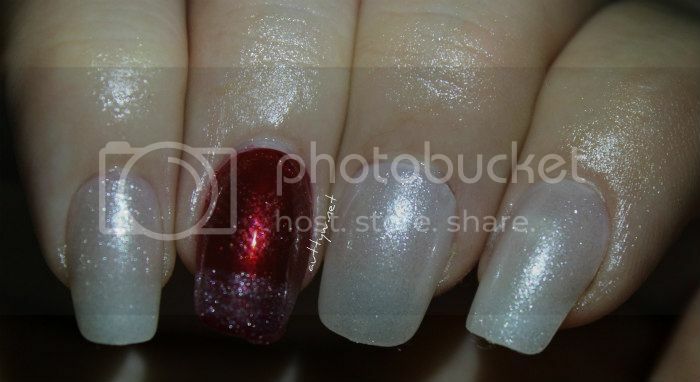 Again, it is one of those polishes, that if you looked at it, you would associate it with Christmas. They classify this polish as a foil, but again, in my opinion I don't really think it is a foil. I would consider it more of a metallic shimmer polish. I do like this collection and I think that it definitely embodies the Holiday (Christmas) season. 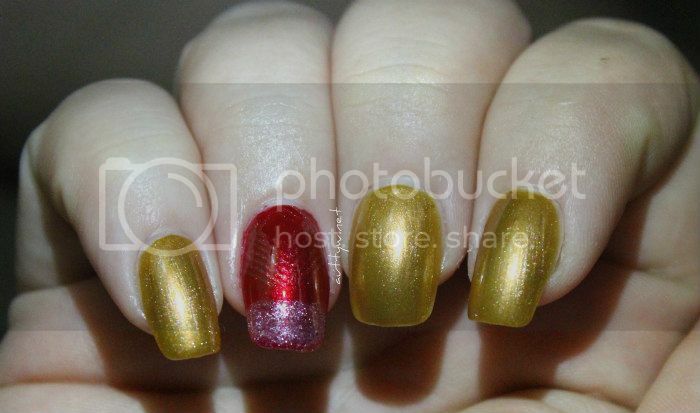 The polishes are really pretty and I love that they can give you that glitz that you want during the entire Holiday season! I would have loved to have seen something maybe about Chanukkah or maybe Kwanzaa, but if you really think about it, the red could go for both Christmas and Kwanzaa and the silver can go for Chanukkah. What is your favorite Adventure from 2016, or your favorite polish that Square Hue created this year?! I think mine would have to be Pompidou for sure!